Yeah so I like making weird stuff. If Dora Was Real 19 will become a reality due to the new Dora and the City of Gold movie coming out. 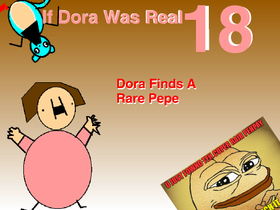 If Dora was Real 18: "Dora finds a Rare Pepe"